Since there is not another band or musician that can challenge the popularity of the Beatles, the only one who can is Jesus. So, which will go first, rock ‘n’ roll or Christianity? § One Response to The Beatles, more popular than Jesus? 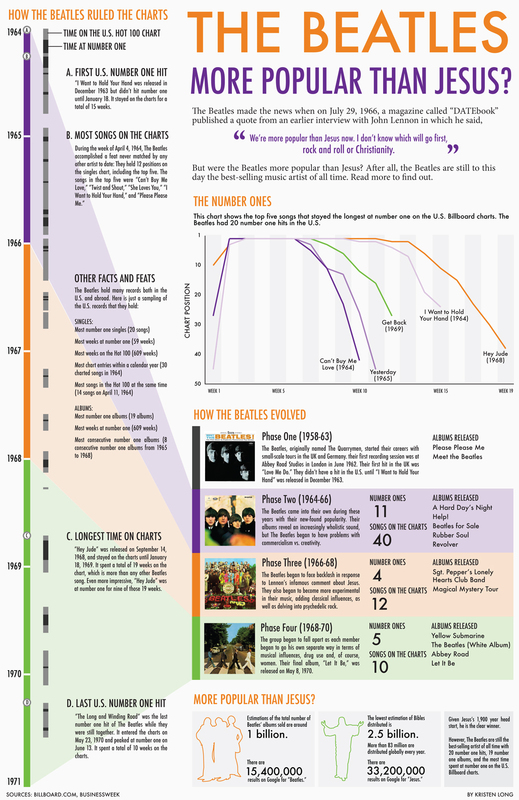 You are currently reading The Beatles, more popular than Jesus? at it's a small web.